Butlin’s plays host to some 55 music festivals every year at its three English seaside resorts of Bognor, Minehead and Skegness. 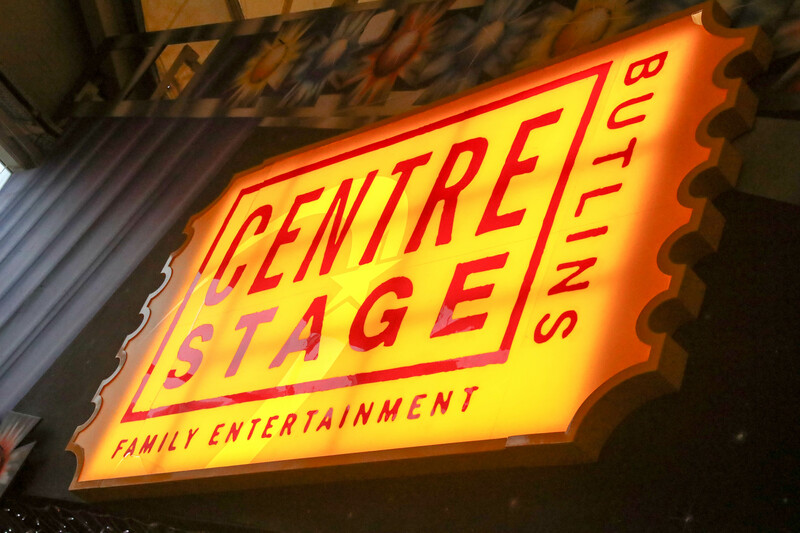 Promoted as Butlin’s Big Weekends, these specially-themed events – from rock, blues and soul to decade-specific parties – may not appeal to those with more discerning musical tastes, but there can be no denying their continuing popularity. Butlins welcomes nearly half a million paying guests every year to these huge jamborees and the income generated from such events now accounts for more than 35% of the leisure company’s annual business. More than 6,000 of these visitors make the annual pilgrimage to the Great British Folk Festival at Butlin’s in Skegness, routinely filling the resort to its capacity. Now firmly established on the British folk calendar, the event returns this year for its ninth edition, taking its customary place on the first weekend in December. And once more it has put together an excellent line-up drawn from the world of folk music. Sandwiched in between Honey and the Bear’s two sets were the evening’s main headliners – Ralph McTell and Jon Boden & the Remnant Kings – and the festival’s perennial dilemma, that of the “line-up clash”. Reds and Centre Stage hold a maximum of 3,500 and 2,500 people respectively. As such, every single one of the 6,000 attendees on site simply cannot get into one of these venues at any one time even if they all wanted to do so. The solution is to put the main acts on the two main stages at more or less exactly the same time which, of course, can lead to difficult choices having to be made. Alternating easily between the two stages – they are, after all, a literal stone’s throw apart – it would appear that the Bellowhead frontman Jon Boden prevails in the battle of audience numbers putting in a suitably rousing performance in the process, but Ralph McTell wins the war in terms of gravitas and quality. One of the truly great British musical storytellers, he is now celebrating more than 50 years on the road and tonight he proves that there is so much more to him than just having written that old busking chestnut, ‘Streets of London’. He weaves together a delightful set that carefully balances unashamed sentimentality, gripping realism and his deep love of American bluesmen such as Robert Johnson and Blind Blake. Saturday afternoon offers us the various and contrasting delights of A Winter Union, a festive folk band par excellence, comprising some of the leading lights of the contemporary roots scene; Arc, the Rodford family trio of sisters Anya and Cara, singing the most exquisite two-part harmonies alongside their uncle Russell on guitar; Jake Dixon and the Hiding Magpies, taking up where Tom Petty and the Heartbreakers very sadly left off; and the veteran Glaswegian folkies New Celeste bringing their blend of tradition and baroque to the party. In marked contrast to most other major festivals and possibly mindful of the average age of the Great British Folk Festival’s demographic, the two main stages shut their doors mid-afternoon and then don’t re-open until 7pm in the evening. This break affords you two major opportunities – one is to watch people, almost inexplicably you might think, queuing up to get back into said venues from anything up to 90 minutes beforehand, presumably to ensure that they get prime seats from which they then won’t budge for the rest of the night; the other is to take advantage of some of the more emerging musical talent that is showcased on the Introducing Stage. On Saturday we had the undoubted pleasure of witnessing the French duo Molly’s Kiss make their debut appearance in this country. Their sheer joy and genuine amazement at playing to such a large crowd is infectious and Madeline’s breathy vocals and Nicolas’s intricate guitar combine to make their Gallic folk quite undeniably funky. They are followed onto the Introducing Stage by The BeauBowBelles, a four-piece band from London who add energy, diversity – new song ‘Weightless’ deals with the impact of mental health in general, and feelings of anxiety in particular – and no little pizzazz to the occasion. It would come as no surprise to see them back again next year as one of the competition winners. Joshua Burnell did win the competition last year and as is his right he returns again 12 months later, this time taking his place on one of the main stages. Backed by his stellar band, the York-based musician is an absolute revelation, often relocating ancient tunes in the more modern age. Burnell gives the traditional jig ‘Plane Tree/Tenpenny Bit’ a startling prog-rock makeover. He furnishes it with shifting tempos powered along by his own swirling Hammond keyboard, whilst still remaining most respectful of both the past and the song. Lau similarly push at the outer limits of convention. The trio of Kris Drever, Martin Green, and Aidan O’Rourke, admirably aided and abetted by Morag the mighty flagship sound console, bring material from their forthcoming album release Midnight and Closedown to the Butlin’s table – ‘Toy Tigers’ and ‘Riad’ are both immense – and whilst some of their improvisations may be far too rich for the folk purists’ taste, their performance is ultimately one of the most enigmatically satisfying of the entire weekend. It is then left to those perennial festival favourites Oysterband to close out Saturday night and true to their irresistible form they never fail to disappoint. It may well be a set with a strong crowd-pleasing emphasis, but it is still one riven with energy, power and sharp political insight, no more so than on a passionate ‘All That Way For This’. Sunday afternoon faces off that 60’s symbol of the then nascent British hippie/folk scene Julie Felix against the 70’s pop star Steve Harley – he of ‘Make Me Smile (Come Up and See Me)’ fame – but this relatively tame duel is put into very sharp relief by the subsequent passion and spirit of the young Gloucestershire singer-songwriter Emi McDade’s performance on the Introducing Stage, a sequence of events that highlights one of the major challenges faced by the Great British Folk Festival. For all their tremendous efforts to promote less established, more developing acts this is not reflected by the overall complexion of the audience who come to this part of east Lincolnshire year after year. It remains an ageing population at the festival and there is no great evidence to suggest that a younger generation of folk aficionados is waiting in the chalets to take their place. Sunday evening, regrettably, heralds the final performance of the mandolin, guitar, double bass and vocal trio ensemble, Stillhouse. Their American double bassist Matthew Mefford (who the previous night had done some sterling work in Joshua Burnell’s band) is apparently unable to renew his work visa and is being forced to return to his home country. Both he and Stillhouse will be a big loss to the local roots scene, but the trio do sign off in some considerable style. They conclude with a bluegrass version of ‘The Fox’, illustrating their class – guitarist and lead singer Jonny Neaves has to be the sharpest dressed man on site this weekend – musical versatility and sheer zest for life. It is difficult to believe that 47 years have now passed since five young men from Tyneside appeared on the Old Grey Whistle Test and played ‘Fog On The Tyne’. The man who wrote that song, Alan Hull is sadly no longer with us, but his spirit lives on here in the current incarnation of Lindisfarne featuring both his son-in-law Dave Hull-Denholm and the one remaining original member of the band, Rod Clements. It may well veer uncomfortably towards karaoke Lindisfarne at times but the crowd absolutely love it, everyone is – eventually – up on their feet dancing and the Geordie folk-rockers bring yet another hugely successful Great British Folk Festival to a triumphant close.